When you are stressed or worried, you deplete your magnesium stores. How do depleted magnesium stores feel? It feels like anxiety in the body. You feel anxious and then ask yourself, "What is wrong?" and you find a reason to be stressed! It's a vicious cycle. Worry and work stress, deplete magnesium, feel anxious, find a reason for feeling stressed, deplete more magnesium and so on. Symptoms of poor magnesium intake can include muscle cramps, poor sleep, digestive disorders, stress, irritability and chronic pain (usually back pain). So how can you know whether you’re getting enough magnesium? Less than 30% of U.S. adults consume the Recommended Daily Allowance (RDA) of magnesium. And nearly 20% get only half of the magnesium they need daily to remain healthy. When you are stressed, you can become magnesium deficient even if you eat magnesium-rich foods regularly. The relationship between magnesium and work stress explains why many people require magnesium supplements, because even a conscientious diet does not correct the magnesium deficiency. Work stress creates a load on our magnesium reserves (therefore creating a deficiency). Then, even if we are at rest, our body feels anxious. This starts a loop effect where we worry or look for outside reasons for this feeling and deplete our magnesium stores even further. Magnesium plays an important role in biochemical reactions all over your body. It is involved in a lot of cell transport activities, in addition to helping cells make energy aerobically or anaerobically. Your bones are a major reservoir for magnesium, and magnesium is the counter-ion for calcium and potassium in muscle cells, including the heart. Magnesium was an old home remedy for all that ails you, including "anxiety, apathy, depression, headaches, irritability, constipation (remember "Milk of Magnesia" commercials? ), restlessness, hyperactivity, and sulkiness." But we forgot about magnesium somewhere along the way in our cultural wellness efforts. If you want proof of your magnesium deficiency, order a Magnesium RBC test through Request A Test for $49.00. Using your zip code they will send you to a nearby lab for a blood draw and you will have your results within 72 hours. Aim for an optimum dose of 6.0-6.5mg/dL even though the range of the test is 4.2-6.8. 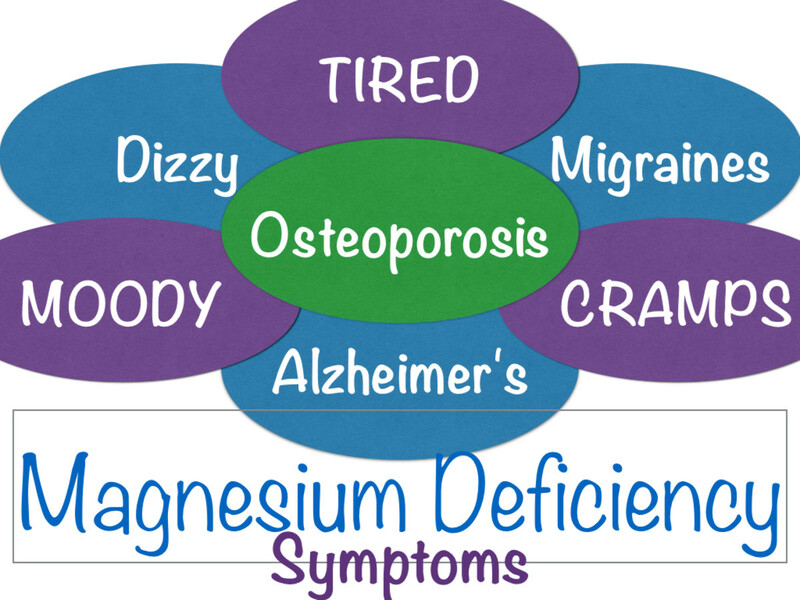 That's because this average is based on the sick population, 80% of whom are magnesium deficient. In 1968, Wacker and Parisi reported that magnesium deficiency could cause depression, behavioral disturbances, headaches, muscle cramps, ataxia, psychosis, and irritability - all reversible with magnesium repletion. Work stress is the 'bad guy' here, in addition to our woeful magnesium deficient diets. Stress causes us to waste our magnesium like crazy and we end up taking prescription medication to soothe the symptoms which create even MORE magnesium imbalance. Several studies have also looked how stress levels affect magnesium. They found that during periods of stress, magnesium is used up by the body in exponential rates. 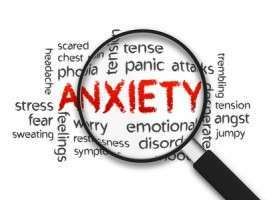 That means that not only is a significant portion of the population magnesium deficient---potentially leading to anxiety, rumination, worry, obsessive thinking and other stressful manifestations --–there is also be a high number of people that use up their magnesium reserves as a result of this anxiety, thus contributing to more anxiety and more stress. 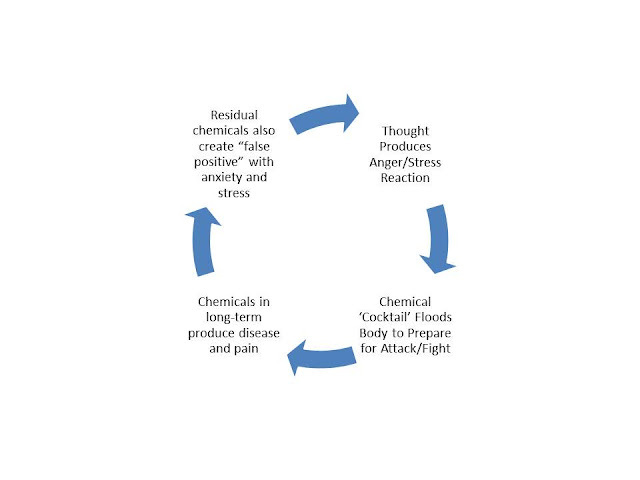 This creates a loop effect where stress and anxiety are experienced without an external factor of causation (i.e., I worry because I feel anxious, and I feel anxious because I worry). Magnesium is not as readily available as most minerals; it’s deficient in the soil and most fertilizers don’t contain magnesium, so most foods are lacking. Also cooking and processing foods depletes magnesium. It’s found in whole grains, greens, nuts and seeds, but most people don’t eat much, if any, of those foods. And yet, for some reason doctors think that we get all our nutrients in our very SAD, Standard American Diet and they don’t recognize the need for nutrient supplementation. Find out what's really causing it. "Think of magnesium as the relaxation mineral. Anything that is tight, irritable, crampy, and stiff -- whether it is a body part or an even a mood -- is a sign of magnesium deficiency." ~ Dr. Mark Hyman, M.D. Everyone could benefit from extra magnesium is my conclusion today. The only problem I encountered is the laxative effect. If you are unable to absorb magnesium for whatever reason (alcohol, smoking, stress, poor diet, IBS, aging), then you will not get enough of this enzyme and you will be on the potty and still experience all of the symptoms listed above! I've found one product that works that does not create a laxative effect. My back pain and anxiety are so much better after regular supplementation. And when I get a twinge in my lower back, I now view this as I need to put more magnesium in me! Here is my favorite caplet form (slow release to ensure no diarrhea effect), plus free shipping if you enter FREESHIP into the shipping code section. I'm a bit obsessive about free shipping. I insist on getting free shipping whenever possible on the Internet! The only other magnesium I have found that does not create a laxative effect is a liquid sold by Dr. Carolyn Dean called ReMag. But it's VERY salty and I have a hard time taking the dose because of it (it's in a liquid form). It costs $29, has to be refrigerated, has a high shipping rate to ensure refrigeration standards, and only lasts about a month. So, the folks at Jigsaw are actually very competitive in price and content, as well as quality, for their magnesium formula. One method of assessing your magnesium status is to contact your health care provider and request detailed magnesium testing. Yet magnesium assessment is typically done using blood serum testing, and these tests can be misleading. Only 1% of magnesium in the body is actually found in blood, and only .3% is found in blood serum, so clinical blood serum testing may not successfully identify magnesium deficiency. Most dark colored sodas contain phosphates. These substances actually bind with magnesium inside the digestive tract, rendering it unavailable to the body. So even if you are eating a balanced diet, by drinking soda with your meals you are flushing magnesium out of your system. The average consumption of carbonated beverages today is more than ten times what it was in 1940. This skyrocketing increase is responsible for both reduced magnesium and calcium availability in the body. And sugar does not simply serve to reduce magnesium levels. Sweet foods are known by nutritionists as “anti-nutrients”. Anti-nutrients like sweets are foods that replace whole nutritious foods in the diet, yet actually consume nutrients when digested, resulting in a net loss. Because all foods require vitamins and minerals to be consumed in order to power the process of digestion, it’s important to choose foods that put back vital nutrients, and then some. Because stressful conditions require more magnesium use by the body, all such conditions may lead to deficiency, including both psychological and physical forms of stress such as surgery, burns, and chronic disease (i.e.,reoccurring pain such as back pain or migraine). The effect of alcohol on magnesium levels is similar to the effect of diuretics: it lowers magnesium available to the cells by increasing the excretion of magnesium by the kidneys. In studies, clinical magnesium deficiency was found in 80% of alcoholics. Increased alcohol intake also contributes to decreased efficiency of the digestive system, as well as Vitamin D deficiency, both of which can contribute to low magnesium levels. Pain in the back or neck? Go to Jigsaw Health.Com for non-laxative magnesium tablets. Still not sure it's magnesium you need? Here's an article by Dr. Mark Hyman called "Magnesium: The Most Powerful Relaxation Mineral Available," with lots more information on magnesium deficiency. Traditionally, foods highest in magnesium content are green vegetables, whole grain cereals, nuts and beans, and seafood. ~Metabolic differences in individuals, such as excess magnesium excretion by the kidneys, sometimes resulting in magnesium losses and deficiency. And, it's why I'm using their new once-a-day vitamin packets that include Magnesium w/SRT, plus 6 other vitamin and mineral supplements! What's included in the Jigsaw Basic? And just as you would expect, we're using the most active, bio-available (and frankly, expensive) forms of all these ingredients. Pao EM, Mickle SJ. Problem nutrients in the United States. Food Technology. 1981:35:58-79. King DE, Mainous AG 3rd, Geesey ME, Woolson RF. Dietary magnesium and C-reactive protein levels. Journal of the American College of Nutrition. 2005 Jun;24(3):166-71. Available from: MEDLINE with Full Text, Ipswich, MA. Accessed November 6, 2009. McCarthy J, Kumar R. Divalent Cation Metabolism: Magnesium. In: Schrier R, series editor. Atlas of Diseases of the Kidney. Volume 1. Wiley-Blackwell; 1999: 4.1-4.12. Bernstein, L. Improving Magnesium Absorption and Bioavailability. Geriatric Times. 2002;3(1). Available at: http://www.cmellc.com/geriatrictimes/g020208.html. Accessed February 10, 2010. 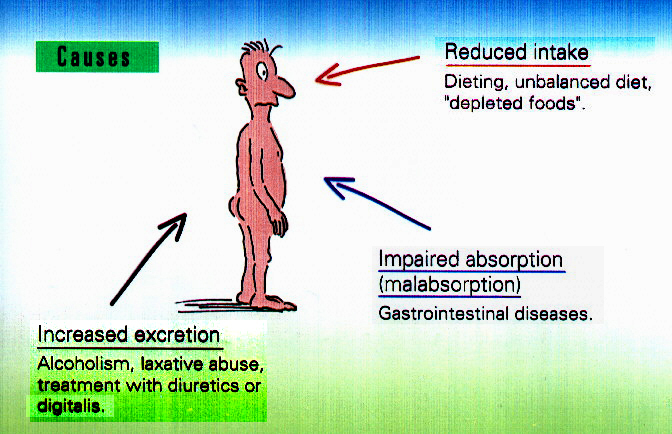 Bohn T. Dietary Factors Influencing Magnesium Absorption in Humans. Current Nutrition & Food Science. 2008;4:53-72. Firoz M, Graber M. Bioavailability of US commercial magnesium preparations. Magnesium Research. 2001; 14: 257-62. 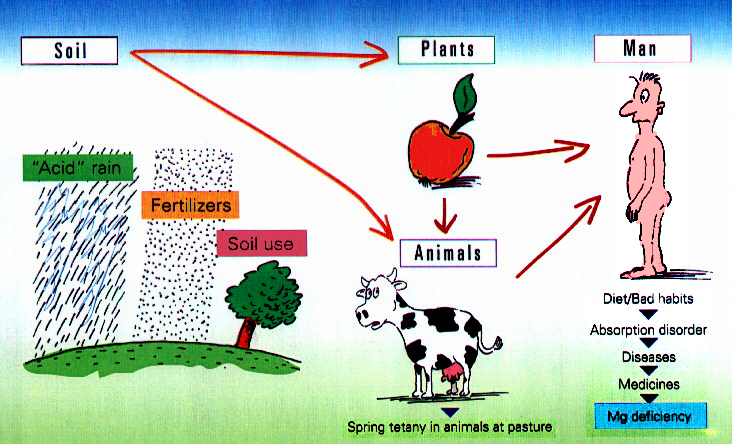 U.S. Department of Health and Human Services, U.S. Department of Agriculture. Adequate Nutrients Within Calorie Needs. In: Dietary Guidelines for Americans 2005. 2005. Available at: http://www.health.gov/dietaryguidelines/dga2005/document/pdf/DGA2005.pdf. Accessed January 28, 2010. Cohen JS. The Magnesium Solution for Migraine Headaches. New York: Square One Publishers; 2004. "Magnesium..." to More De-Stress Blog Entries?